4-H is a nation-wide, family-oriented, community-based, youth organization dedicated to the development of young Canadians, encouraging them to become responsible members of society. We help our youth "Learn To Do By Doing" in a safe, inclusive and fun environment, providing opportunities for leadership and life skills development, while promoting agriculture awareness. The heart of 4-H is in its clubs. 4-H clubs are comprised of 4-H members and trained and screened volunteers who act as club and project leaders. The club decides on a topic of interest and, through instruction by leaders and hands-on learning, members learn about the topic during 4-H meetings. In addition to gaining a hands-on education, members develop leadership skills, they gain an understanding of how an individual can affect their community and country, and they make lasting friendships. More than 80 countries worldwide have 4-H clubs. There are over 2,400 members, 800 leaders and 75 clubs in Nova Scotia. Learn more about where we are. 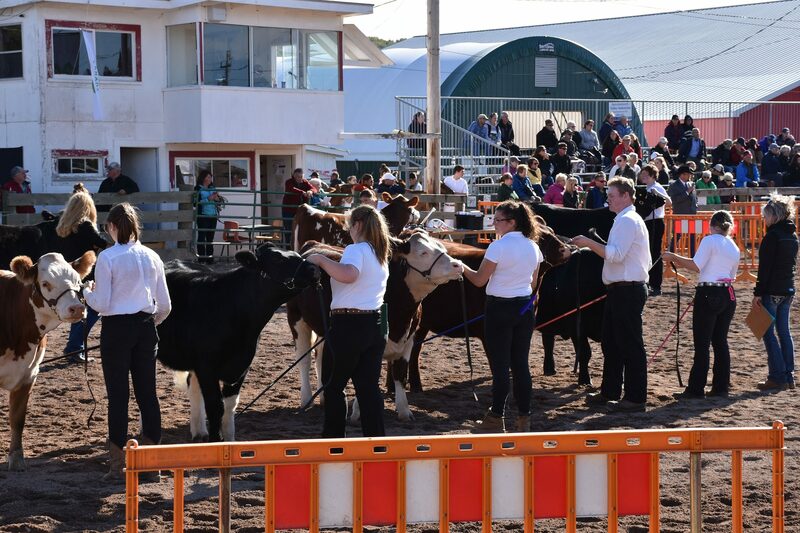 As a Nova Scotia 4-H'er, you'll experience the feeling of accomplishment that comes from trying and succeeding at something new – whether it's fixing a small engine, knitting a sweater, training an animal or presenting a speech or demonstration to a live audience. The 4-H opportunities are endless, including various provincial and regional programs allowing members to visit new places, expand their knowledge, and make new friends! Senior 4-H members can apply for scholarships and earn a personal development credit for Grade 10. Various camps, conferences and exchanges are also available for 4-H Members. How Old Do I Have To Be To Become A 4-H Member? What Does 4-H Stand For? The first step to start your year in 4-H is to choose a project. Learning new skills, making things and visiting places with friends are all a part of 4-H projects. Members can take one project or many projects. For first-year members, one project is probably enough. Review our project listings and make a list of the ones that peak your interest. Give some thought to the projects you have listed. Do they match your abilities? Do you have the time, money and equipment to complete the project? Talk to your parents and 4-H leaders; they can help you choose a project that matches your needs, ability and resources. For more information about the 4-H Pillars, please visit the 4-H Canada Website. Extending your mind and reach for the sky! Each Club has a variety of executive positions. They help guide meetings to ensure everything runs smoothly. All 4-H club members vote to elect their peers for these positions. These executive roles also provide opportunities for members to gain leadership experience. The Club President usually acts as the meeting's chairperson. The Club President works with the leaders to develop the meeting's agenda. The Vice-President is the assistant to the President and helps to keep meetings running smoothly. The Vice-President also can lead the meeting if the President is absent. The Secretary's job is to keep written notes on all Club activities. They write a summary of each meeting, which is read at the next beginning of the meeting. The Club Reporter is a very important position. They let the public know what activities and events are going on within the Club. They do this by writing small reports and sending them to the local media ie: newspaper, radio, etc. If the Club has a bank account, the Treasurer keeps an accurate account of all the money collected and spent. They will report at each meeting on the status of the account.